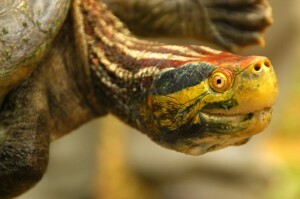 Norfolk, VA – The Virginia Zoo is launching “Defining Moments,” a $2.6-million capital campaign for the renovation of the Zoo’s reptile house. Renovations will use the building’s existing footprint, reconfiguring the internal space to double the number and complexity of current exhibits. The updated building, presently being described as the “World of Reptiles,” will feature more than 60 individual environmentally controlled exhibits. The campaign will raise all Zoo facilities to a matching high standard. The Zoological Society board has already raised more than one million dollars toward the campaign and is now asking the public to support the project by donating the remaining $1.6 million. Since the reptile building’s construction in 1974, visitors to the Virginia Zoo have greeted reptiles, amphibians and nocturnal creatures in this space. The campaign will fund the complete renovation of the Zoo’s oldest building, creating a new 13,000-square-foot exhibit space. “Animals such as reptiles, amphibians and other small creatures are uniquely tied to our world, yet they are commonly overlooked,” says Virginia Zoo Executive Director Greg Bockheim. The 52-week construction timeline will reconfigure the space to increase the number, size and complexity of the exhibits. Other components of the new facility will include a frog laboratory, reptile nursery, venomous snake and diversity of life galleries, a conservation education classroom and a family restroom. 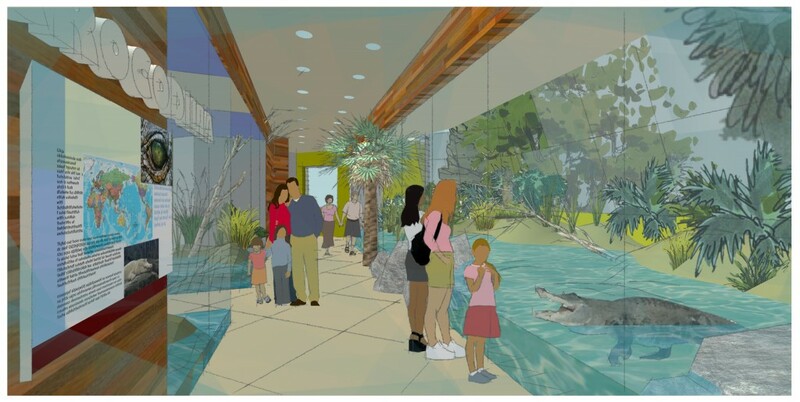 The Zoo plans to also extend the building to accommodate crocodiles with underwater viewing and add other improved visitor amenities. Exhibits will be constructed in a manner that is immersive and natural so that viewers can see and learn about rarely observed animal behavior. Approximately 500,000 people visit the Zoo every year. The Zoo estimates that the World of Reptiles will bring in an additional 30,000+ guests annually. I have personally always loved taking my kids to the Zoo, and have also spent many tranquil hours there on my own. I very much look forward to creating new “Defining Moments” with my children in this new and exciting renovation. The Virginia Zoo has been a staple day-cation for my family, it is an inexpensive and educational trip. After many years of visiting we have gotten to know many of the animals, and after the Trail of the Tiger exhibit opened we were able to see our new animal friends adapt to their new homes and see babies grow before our eyes. The staff has always been pleasant and knowledgeable. Stay tuned here for more updates on this awesome project! Keep it positive, keep it fun, be excellent to each other!